Daylight Saving Time can be a challenging time for the entire family. The abrupt change in sleep schedules is often rough on adults, but it can wreak havoc on youngsters who thrive on routine. The end of Daylight Saving Time causes many children to wake up much earlier than usual, which can be distressing to already sleep-deprived parents. To help ease your family into the time change, Western Union (WU) has pulled together some great ideas on how to prepare your kids for the end of Daylight Saving Time. Know that the week of Daylight Saving Time will likely be difficult. More light coming in the house earlier can disrupt sleep patterns and lead to cranky and moody kids and adults. If you prepare in advance, however, you can lessen the effects of the time change and make it as smooth of a transition as possible. For newborns to 6-month-olds no change to routine is needed. For kids aged 6 months to 3 years, make bedtime later, in 10-15 minute increments, for several days leading up to November 6th. This may mean adjusting nap schedules and other activities, but it’ll be worth it. Your child’s internal clock will slowly start to adjust to sleeping a little later. Then, when time “falls back” that Sunday, your little one is already used to waking up when he or she should. To help your kids become sleepy earlier and stay asleep longer, be sure to control the light they see in the hours before sleep, gradually lessening it as it gets closer to bedtime. Eliminate all screens – TV, tablet, phone – as the white light emitted from those products keeps brains alert. Slowly lower the lights and even light some candles in the house to give it a cozy feel that can promote sleepiness. If you find that your child is crankier or more difficult than usual in the days following Daylight Saving Time, do your best to practice patience and understanding. It’s also important to be patient with yourself, and make sure you’re taking care of yourself as well as your kids! If you find yourself tired in the middle of the day, a quick 20 minutes of meditation can help restore your body and mind. The last thing parents and kids need is any kind of sleep deprivation leading into Daylight Saving Time. Therefore, it’s important not to plan any late-night activities that could contribute to losing sleep in the week or so before the big day. It would also be best to avoid planning travel during that time if you can, so you can ease into the time change with as little disruption to the normal routine as possible. 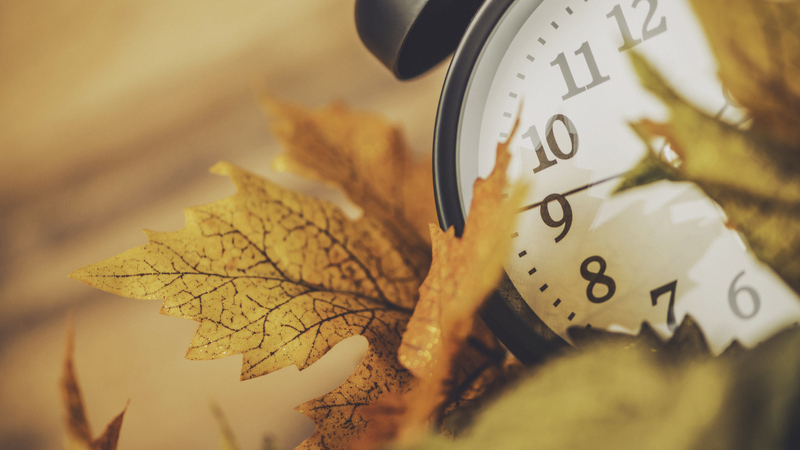 These tips should help keep your family on track during Daylight Saving Time. Do you have any other tips and tricks for easing the time change? Let us know in the comments!